Got a lovely new WordPress website, you’ll want to make sure it stays that way. Maintaining your website is key to making sure it stays up and running smoothly. In this post I’ll be going over the best practices, plus recommending a couple of great plugins for maintaining your WordPress website. WordPress is a massive part of the internet, as of today July 13 it is thought that almost 1/5 or 20% of the websites on the internet run on WordPress. That’s a lot of websites! This brings a problem with it though, being the largest website platform makes it a great target for website hackers. Don’t let that scare you though, by following a few simple steps you make sure your website is properly maintained keeping it safe and secure from these unscrupulous individuals. If you don’t do this you are asking for trouble, the admin account is the way most hackers can get into a WordPress website, this has to be your number one priority. 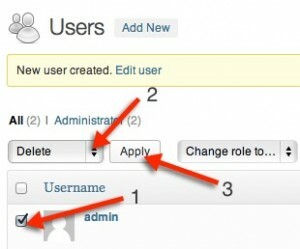 Head over to your WordPress dashboard and click on Users. On the users screen click the Add New button. Fill out the add user form, making sure to choose a memorable user name and a secure password. Handy Tip – use a program like Lastpass or Dashlane to store and generate your passwords. Once you have completed the Add User form, Log off your WordPress Websites and log back in using the new user name and password. Once back in. Head back into users. and do the following. image 3 – Deleting the user. Now you can sleep again at night knowing the major security vulnerability on your website is fixed, your one step closer to a secure website. Lets move to step 2 on our list for maintaining a WordPress website. A backup solution is about more than just protecting your site from the people that want to do nasty things to it, it’s possible that during and update (covered in the next step), something could go wrong, and a file becomes corrupt rendering your site useless. Of course having a backup also means that if your site is hacked, you’ll be safe in the knowledge that you’ll be one of the few who can easily get your site backup and running again, without to much hassle. So how do you create a backup? This is best left to a WordPress plugin, and there are many out there that will do the job, but my favorite is BackWPup. 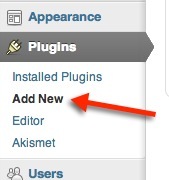 Head back over to your WordPress admin, Click on Plugins -> Add New. Enter ‘BackWPup’ into the search box and install the plugin. I’ll leave it up to you to go through the setting and set everything up. A couple of quick point to note though, make sure to back up everything under the tasks section. You can choose where to create your back up, it could be to your own computer, or you can set it up to automatically backup to Dropbox, or some other cloud storage service, just make sure you backup are regular. Brilliant, now that you have a backup solution and have made at least one backup, let move onto step 3. Another extremely important part of maintaining your WordPress website is making sure your everything is kept up to date. Out of date plug-in and versions of WordPress create another entry point for these unscrupulous individuals that want to create mayhem on your website. One of the main reasons plug-in developers and the WordPress team push us updates is to address security vulnerabilities. So, if you see an update is available, don’t say to yourself I’ll do it later, just click the update button and do it there and then. It’s not hard and doesn’t take long. 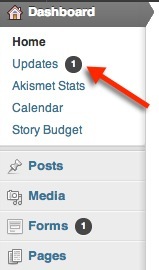 Image 5 – The WordPress Update Button. This is the last step for today, and another critical one. Wordfence is one of those plugins that should be installed on every WordPress installation. Basically,Wordfence is a free plugin that provides industrial grade anti-virus and firewall protection, just like you’d find on your computer, to your WordPress website. Rather than get into it in more detail, here’s their video explaining everything Wordfence does. Now that you know what it can do, head back over to your dashboard, back into Plugins -> Add New, search for Wordfence and install it. After it’s installed you’ll find it with it own section on the left hand menu of your WordPress Admin, you’ll probably have to enter you email address to receive updates, but otherwise you should be good to go. Follow the four steps above and you’ll have a professionally maintained WordPress website, safe and secure. There are other things you can do to make your site even securer, such as configuring Cloudflare for your website. Or if your looking for the all in one maintenance solution for managing multiple WordPress Installs, I can’t recommend InfiniteWP highly enough. Use the comments below to let me know of any methods you use to ensure your WordPress sites stays well maintained, safe and secure.